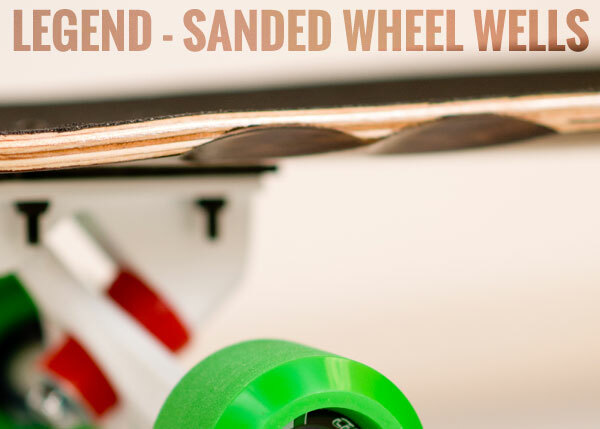 Wheel wells are a simple yet incredibly effective addition to a longboard deck. 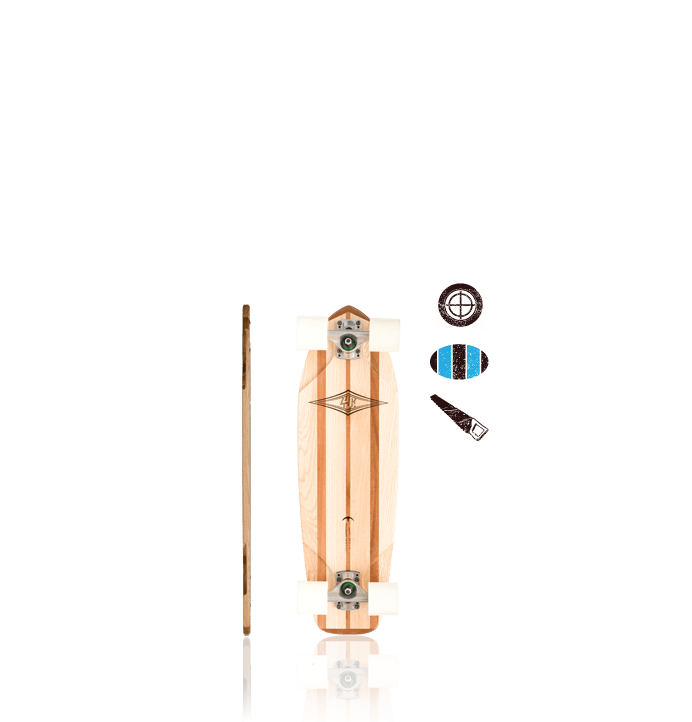 Simply, they allow you to get your board lower without putting big cutouts in the deck shape. A lower ride gives more control, more stability, an easier push and a safer footbrake. 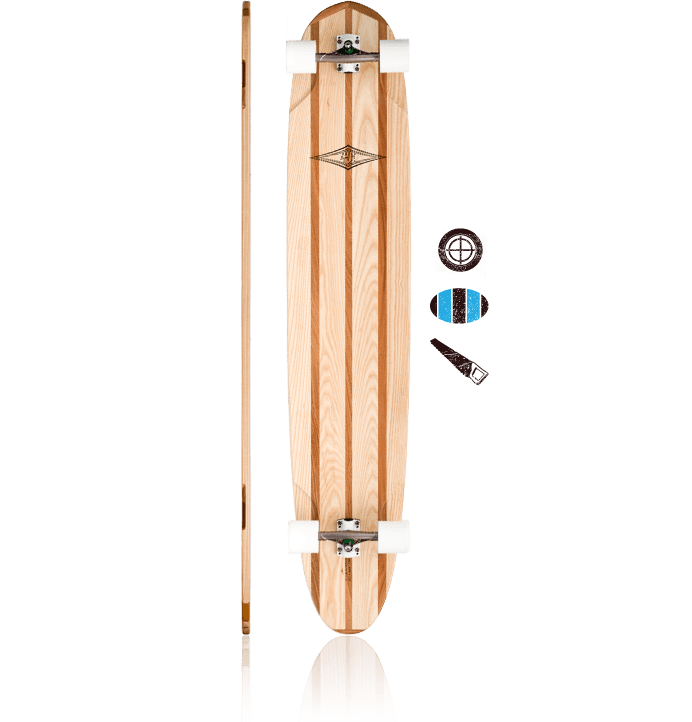 A low ride height will transform your longboard more than anything else. Here at Lush we use three methods to create wheel wells – Drum Sanding, Router Cutting and Moulded. Rather than cutting material from the deck, we simply press in some “wheel arches” – simple, but effective! 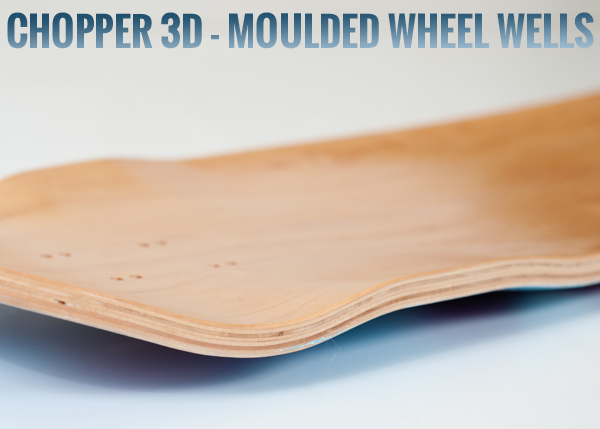 This allows us to keep a cleaner look, retain deck strength, and create 3D pockets for your feet. We use a router setup when we need to create a very long or very deep wheel well, removing a lot of material from the blank after it is pressed and shaped. This allows us to make wider topmount shapes and still avoid wheelbite. It allows the use of TKP and RKP trucks with ease, and it allows us to drill a huge amount of wheelbase adjustability into our decks. As a result we are able to make shapes we would otherwise not be able to, run our stock and custom setups much lower, and still avoid the dreaded wheelbite. 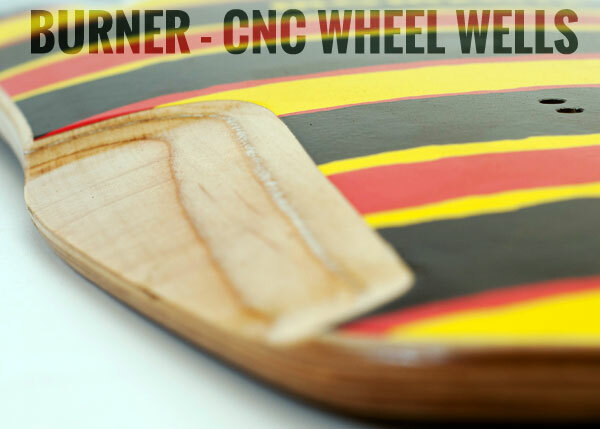 We use Drum Sanding when we have little or no wheelbase adjustability, and we don’t need the setup time of a router. Many companies use this method to give their decks wheel wells – however a little extra touch we often put on is to sand two wells out right next to each other. This allows a small amount of wheelbase adjustability, and also allows you to choose RKP or TKP trucks without fear of wheelbite. It’s all in the details!